While the Gaza protests occupied half of the front page of the dailies, the papers also reported on Friday’s weekly protests in the West Bank and occupied East Jerusalem. 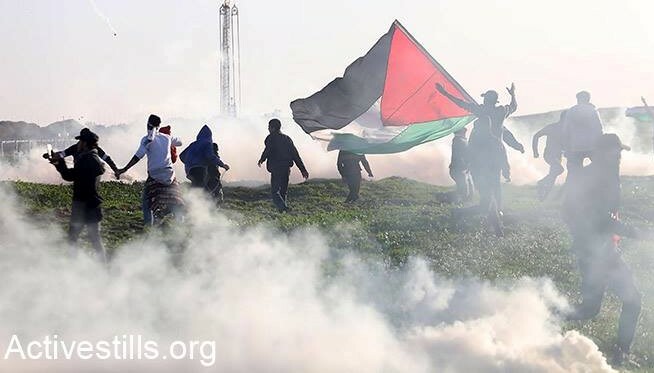 Al-Quds described how protests held in Nilin, Kufr Qaddoum and Qalqilya in the West Bank were violently repressed by Israeli forces. In Ramallah, soldiers raided the center of the city on Friday night and detained a Palestinian who was accused of killing an Israeli woman in West Jerusalem two days earlier.